Bed and Breakfasts near Livingstone Almondvale Stadium for 1 night from Thu Apr 25, 2019 to Fri Apr 26, 2019 within 25 miles, in an Average Nightly price range of £1 to £200. Chain Runner by Marston's Inns is located in Livingston, half a mile from the Livingston Designer Outlet. Free WiFi is available throughout, and free private parking is available on-site. All rooms at the property feature a TV and tea/coffee making facilities. A work desk is provided in each room. There are en-suite facilities in each room, containing a bath or shower, free toiletries and a hairdryer. Towels and bed linen are provided. The on-site restaurant serves pub-style meals throughout the day. Chain Runner by Marston's Inns also features an outdoor seating area, and indoor and outdoor play areas for children. The Almond Valley Heritage Centre is 1 miles from the property, and Five Sisters Zoo is 3 miles away. The nearest airport is Edinburgh Airport, 12 miles from Chain Runner by Marston's Inns. The Mercure Livingston is a 15-minute drive from Edinburgh Airport and 2 miles from junction 3 of the M8 motorway. It has a brasserie, a restaurant, an indoor pool, a gym, a sauna, and free parking. Complimentary high speed WiFi is available throughout the property. Each room at the Mercure Livingston has an en suite bathroom and a flat-screen TV. Most rooms look out over the hotel's lawns and courtyard garden. Interconnecting rooms are also available upon request. The brasserie, bar and restaurant offer modern food and a range of hot, cold and alcoholic drinks. The room service menu is available 24 hour a day. Leisure facilities at the hotel also include a steam room. Beecraigs Country Park is nearby, as well as other family attractions. The Mercure Livingston Hotel is a short walk from the Designer Outlet and the shops. Set within its own grounds, Bankton House Hotel boasts stately Georgian architecture and peaceful surroundings. Edinburgh is 30 minutes' drive away and the picturesque Pentland Hills Regional Park, towered by Scald Law hill, is 6 miles from the property. Free Wi-Fi is available in public areas. Each individually styled, luxury room has elegant furniture, a flat-screen TV, and tea/coffee making facilities. Most rooms have an en suite bathroom and overlook either the woodland or the beautifully landscaped gardens. Bankton House Hotel has a lounge bar, a beer garden and a restaurant where guests can enjoy traditional home cooked food made of locally sourced ingredients. Livingston South railway is 2 minutes' walk from the hotel offering regular links to Edinburgh and Glasgow, both 20 minutes' train journey away. 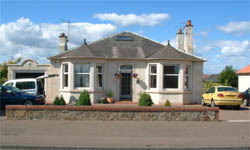 Offering free WiFi and a garden, Limefield House is a Listed Georgian property situated in Livingston. The Livingston Designer Centre, The Elements and The Almondvale Retail Centre are all within an 8-minute drive from the property. Free private parking is available on site. All rooms feature a flat-screen TV, a hospitality tray with a kettle and tea/coffee. Breakfast served in main dining room of the property. Some suites have a small kitchen with tea making facilities, refrigerator. kettle toaster and microwave. The nearest airport is Edinburgh Airport, 15 km from Limefield House. The nearest station is West Calder a 15-minute walk way. The Jupiter Sculpture Park, Linlithgow Palace, Dalmeny House and Hoptoun House are close to the property. Located in East Calder, Ashcroft Farmhouse features free WiFi. Guests can make use of a garden. All rooms in the guest house are equipped with a flat-screen TV. A Full English/Irish breakfast can be enjoyed at the property. Edinburgh is 19 km from Ashcroft Farmhouse, while Edinburgh is 12 km from the property. The nearest airport is Edinburgh Airport, 12 km from the property. Providing free WiFi, Oatridge hotel is set in Uphall. Offering a restaurant, the property also has a garden and a bar. At the hotel, the rooms are equipped with a wardrobe, a flat-screen TV and a private bathroom. A Full English/Irish breakfast is served each morning at the property. Edinburgh is 21 km from Oatridge hotel. Edinburgh Airport is 12 km away. Bed and breakfast near Edinburgh in Scotland with us at Highfield House... And you'll soon discover peace quiet and an excellent spot to launch your excursions into Edinburgh or the rest of Scotland. Come and bed and breakfast with us in our unique Scottish Country House near Edinburgh and experience a great Scottish holiday... br / br / br / br / Looking to Bed and Breakfast by Edinburgh in Scotland Here at Highfield House a warm relaxed and peaceful atmosphere awaits you in our traditionally furnished Scottish Manse dating from 1730. br / br / br / br / You ll find it easy to discover not only Edinburgh but also the whole of Scotland from here. Our central location is ideal for a Scottish holiday or simply as a base for exploring this special country. Easy access to Edinburgh and Glasgow by train station under 5 minutes walk or bus. We are also 20 minutes from Edinburgh Airport. br / br / br / br / Bed and breakfast at Highfield House can be just the start of your special stay in Scotland . br / br / Breakfast is freshly prepared with locally produced ingredients ( even black pudding and haggis available ). Local free range eggs fruit from the garden and home made jams and marmalades. br / br / br / br / Stay awhile....linger over breakfast relax in the elegant sitting room a log fire on the colder days. Enjoy books games and puzzles. Check in and out at your convenience. br / br / We look forward to hearing from you and making your visit here something you ll treasure as uniquely Highfield uniquely Scottish. West Lothian Bed and Breakfast Cruachan is a rare gem which offers many home comforts to make your stay most relaxing. The Cairn Hotel is an ideal base for visiting either Glasgow or Edinburgh. An obvious choice for guests only 5 mins from the M8 the hotel is well positioned for exploring the Central Belt of Scotland which is rich in character and scenery from mountains to city scapes. The Hotel is close to Livingston s McArthur Glen Designer Outlet.Edinburgh s historic sights are only 20 mins away whereas Glasgow with its many malls and central shopping area is only 30 mins away.If your just looking for a quiet break then the Cairn is just for you. Relax in the library or sample the suberb cuisine and friendly service that awaits you in the Greenhouse Restaurant. Just 5 minutes from the M8 motorway the Cairn Hotel is a 15-minute drive from Edinburgh Airport. The hotel offers tastefully-decorated modern rooms with free WiFi and has a restaurant and a bar with satellite TV. All rooms at the Cairn have coffee and tea making facilities, and an en suite bathroom with a shower. The Greenhouse Restaurant offers a cooked breakfast, lunch and dinner. The bar is well-stocked with a selection of beers and spirits, including whiskies. The Cairn Hotel Bathgate is 20 miles from Edinburgh and 30 miles from Glasgow. Bathgate Railway Station is less than 1 mile away. Fairway Hotel is offering accommodation in Bathgate. Featuring a restaurant, the property also has a bar. Free WiFi is at guests' disposal. A Full English/Irish breakfast is served each morning at the property. Guests at the hotel will be able to enjoy activities in and around Bathgate, like cycling. Speaking English and Polish at the 24-hour front desk, staff are ready to help around the clock. Edinburgh is 32 km from Fairway Hotel, while Glasgow is 46 km away. The nearest airport is Edinburgh Airport, 22 km from the accommodation. Set in a hundred year-old listed building, Balbairdie Hotel is located in the centre of the historic town of Bathgate and offers free private parking. The local train station is half a mile away and offers convenient rail links to both Glasgow and Edinburgh. Rooms at the Balbairdrie use bright and neutral colours, they are warmly furnished and feature free WiFi, tea and coffee making facilities and an en suite bathroom. The large restaurant offers a varied menu, which changes from time to time and may offer traditional Scottish dishes such as haggis and neeps and tatties. The ancient ritual site at Cairnpappel Hill is just 2 miles south of Bathgate and offers stunning views of the local countryside. Linlithgow Palace, a residence of the Scottish monarchy in the 15th and 16th century, is less than 20 minutes by car. The Balbairdie Hotel hosts karaoke nights on Fridays and Saturdays in its lively bar that attract guests and visitors alike. Set amongst 1000 acres of beautiful parkland with two 18-hole golf courses, this historic country hotel, built in 1725, offers luxurious spa and leisure facilities, and informal and fine dining restaurant options. All of the spacious rooms at the Dalmahoy Hotel & Country Club offer 32-inch flat-screen TVs and en-suite bathrooms. Rooms also include tea/coffee making facilities and a mini-fridge. As well as an impressive 18-hole golf course, Dalmahoy also includes both a championship golf-course and a PGA-approved golf academy within its expansive and scenic grounds. Freshly prepared cuisine can be enjoyed at The Pentland, the hotel's award-winning restaurant, alongside panoramic views of Dalmahoy's green parkland. The Brasserie Restaurant and James Braid Bar also offer informal dining. Dalmahoy Hotel & Country Club also boasts a leisure club, featuring modern gym equipment and complimentary fitness classes. Guests can make use of the indoor swimming pool, sauna, steam room and tennis facilities. Guests can enjoy free WiFi throughout the hotel and free parking is available. The hotel is immediately accessible from the A71 road. The M8 motorway is just 2 minutes away, and Edinburgh is 20 minutes' drive. Impressively situated in 1000 acres of parkland lies the four-star Dalmahoy Hotel & Country Club. With spectacular views to Edinburgh Castle and the Forth Bridges it s a celebration of Scottish heritage dating back to the 13th century. It boasts 215 rooms and suites contemporary meeting and events spaces and a range of restaurants and bars. It also features two 18-hole golf courses luxurious leisure facilities and state-of-the-art gym. It s hard to believe Dalmahoy lies just 20 minutes from Edinburgh. It enjoys excellent transport links by air road and rail while offering a luxury retreat at a Scottish resort. Court Residence is a new all-suites hotel in Linlithgow s historic town centre. A 15-minute drive to Edinburgh Airport close to Edinburgh Stirling Glasgow and Perth these contemporary suites are appointed with kitchens workspace a large Smart TV and free Wi-Fi. The suites neighbour shops cafes bars restaurants and the world famous Linlithgow Palace & Loch. A generous breakfast hamper is included in the price and on-site parking is available free of charge. A 4-minute walk to Linlithgow train station for Edinburgh in just over 20 minutes and Glasgow in just over 30 minutes. The Royal Route bus service stops outside the hotel every 20-30 minutes on the Stirling Falkirk Edinburgh route. The Union Canal directly behind Court Residence is ideal for walking cycling or narrow boat hire to Edinburgh The Falkirk Wheel and Glasgow. The John Muir Trail also passes through Linlithgow. Court Residence offers suites in Linlithgow's historic town centre. The property is only a 15-minute drive from Edinburgh Airport. Stirling is a 25-minute drive away and Glasgow is a 45-minute drive from the accommodation. The contemporary suites include a kitchen, work space, smart TV and free WiFi access. Shops, bars and restaurants can be reached within walking distance and Linlithgow Palace is next to the property. A Continental breakfast hamper is included and on-site parking is available free of charge. Next to Edinburgh Airport, the award-winning Holiday Inn Express Edinburgh Airport offers a 24-hour shuttle service at a surcharge, long-stay parking, and rooms with power showers. Central Edinburgh is 15 minutes' drive away. The rooms at the Holiday Inn Express feature a TV with satellite channels and in-house movies, free WiFi, and a spacious work desk. Rooms also include a hairdryer and tea and coffee making facilities. Wheelchair accessible rooms are available on the ground floor. Breakfast is included in the room rate and is served in the property's Great Room. The on site restaurant serves lunch and evening meals, Free parking is provided for the duration of the stay and the M8/M9 motorway is just 5 minutes' drive from the Holiday Inn Express Edinburgh Airport. Edinburgh Castle and the central shops and attractions of Princes Street are a 15-minute drive from the hotel. Located in Edinburgh, Just B is 13 km from National Museum of Scotland and provides various facilities, such as barbecue facilities and a garden. The property is around 13 km from Murrayfield Stadium and 13 km from University of Edinburgh. Rooms are equipped with a terrace with garden views. At the guest house, rooms come with a wardrobe. Featuring a private bathroom with a shower and free toiletries, rooms at Just B also provide guests with free WiFi. Guest rooms are fitted with a seating area. Guests at the accommodation can enjoy a continental breakfast. A variety of popular activities are available in the area around the property, including skiing, cycling and hiking. Edinburgh Zoo is 13 km from Just B. Edinburgh Airport is 11 km from the property. Located in Ingliston, Moxy Edinburgh Airport offers a fitness centre and free WiFi. All rooms boast a flat-screen TV with satellite channels and a private bathroom. The accommodation features a 24-hour front desk, and luggage storage for guests. At the hotel, rooms are equipped with a desk. A continental breakfast is served every morning at the property. Edinburgh is 12 km from Moxy Edinburgh Airport, while Stirling is 50 km away. The nearest airport is Edinburgh Airport, 1.1 km from the accommodation. The 4-star Dakota Edinburgh is a modern hotel with an award-winning restaurant and free Wi-Fi. Edinburgh city centre is just a 10-minute train journey from the building and the hotel offers a courtesy shuttle service from Edinburgh Airport. The air-conditioned hotel rooms offer an LCD TV with satellite channels and Sky Sports. Guests can also make use of tea and coffee-making facilities. The bar and grill was awarded Scottish Seafood Restaurant of the Year 2009. Food is made from local ingredients and ranges from fresh fish to mature steaks. With Dakota Edinburgh's complimentary shuttle service (reservation required), Edinburgh Airport is just a 15-minute journey away. Forth Road Bridge and South Queensferry are 2 minutes' drive away. Courtyard Edinburgh West is located in Edinburgh, 500 metres from Heriot-Watt University and 7.2 km from BT Murrayfield Stadium. Guests can enjoy all-day dining at the on-site restaurant, The Avenue. Every room has a flat-screen TV and tea/coffee making facilities. The rooms also feature complimentary WiFi and Chromecast. All rooms have a private bathroom. Extras include free toiletries and a hairdryer. You will find a 24-hour front desk at the property. Edinburgh Zoo is 8 km from Courtyard Edinburgh West, while EICC is 9 km away. Edinburgh Airport is 6.6 km from the property. Wester Muirhouse is situated in open countryside on the outskirts of the beautiful burgh of Linlithgow home to its famous palace the birthplace of Mary Queen of Scots. The town has a wide selection of bars and restaurants and has great transport links across central Scotland and is within easy reach of Edinburgh by train bus or car. Many attractions are even closer at hand. br / br / br / br / The house is located on the John Muir Way and is a convenient stop off point for those traveling along its length. br / br / Each cottage has a lounge small kitchen there is a TV with satellite channels and super fast wi fi. Rooms are either en-suite or have private bathrooms. br / br / Linlithgow is a superb centre for exploring central Scotland. Situated in Edinburgh, The Stag Head Hotel features a bar. The property is located 10 km from Edinburgh Zoo. The restaurant serves British cuisine. At the hotel, each room has a wardrobe and a flat-screen TV. The private bathroom is fitted with free toiletries. Breakfast is available every morning, and includes Continental and Full English/Irish options. Guests can also make use of the onsite bar, which serves lunches with a range of classic British pub grub, served every day until 17:30. Popular points of interest near The Stag Head Hotel include Murrayfield Stadium, EICC and Edinburgh Castle. The nearest airport is Edinburgh airport, 12 km away from the property. Situated in Edinburgh, Craigievar Guest House provides accommodation with access to a garden. Complimentary WiFi is offered. The bed and breakfast offers a seating area with a flat-screen TV and a private bathroom with free toiletries, a hair dryer and shower. A dishwasher and kettle are also provided. Craigievar Guest House offers a terrace. Edinburgh Zoo is 2.6 km from the accommodation, while Murrayfield Stadium is 5 km away. The nearest airport is Edinburgh Airport, 6 km from the property. Three miles from town, one from Edinburgh Airport and Murrayfield Rugby Stadium, Craigievar is a luxury B+B featuring bright, quiet, big bedrooms overlooking a peaceful landscaped garden (guest access)with pond &amp waterfall. Rear door key entry for guests. With picturesque views over the River Forth this family run hotel is situated within its own ground and is just 20 minutes drive from Edinburgh Airport. Linlithgow Palace Blackness Castle the Falkirk Wheel Hopetoun House all within a 15 minutes drive. The Grill Bar & Restaurant is open daily from noon until 11pm and 1am on a Friday & Saturday. Our menu is served until 9pm. Live entertainment is occasional at the bar and all major sporting events are shown. Edinburgh city centre can be reached in a 20 minute drive and features an amazing selection of shope nightlife and historic landmarks. Golf and horse riding can be enjoyed in our local area as well as sailing at Port Edgar Marina. Check in is from 2pm until 10pm and check out is 11am.